Cottage Garden Belle Papier Daughter Music Box. 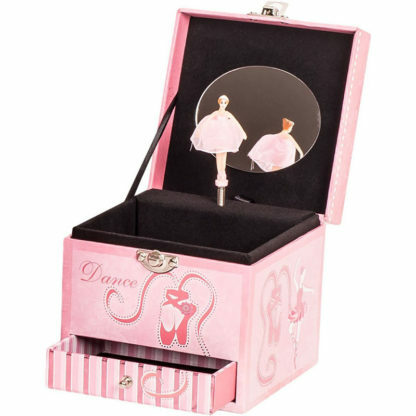 While this adorable box opens up to a spinning ballerina dancing to the tune of “Swan Lake”. Also features a mirror on the inside of the lid and an open storage area. Top of Box reads “Daughter all my smiles begin with you”. Dimensions: Length – 4.5″ Height – 4.5″ Width – 4.5″. Made of Hard Composite Wood. 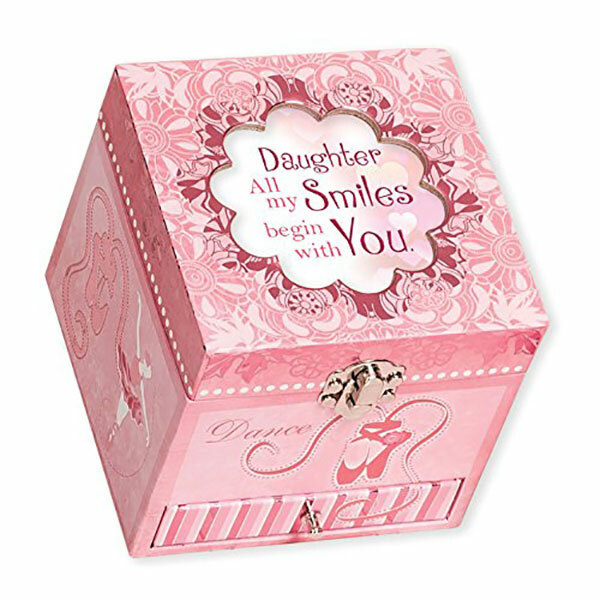 Stop by today and check out all the great music boxes we have in stock. Many different styles and songs available to choose from. Looking for a vintage item? Stop here, we may just have it.